The all-male crew of a mock spaceship played a video action game to cool down when tensions rose during a 17-month isolation study simulating a voyage to Mars. 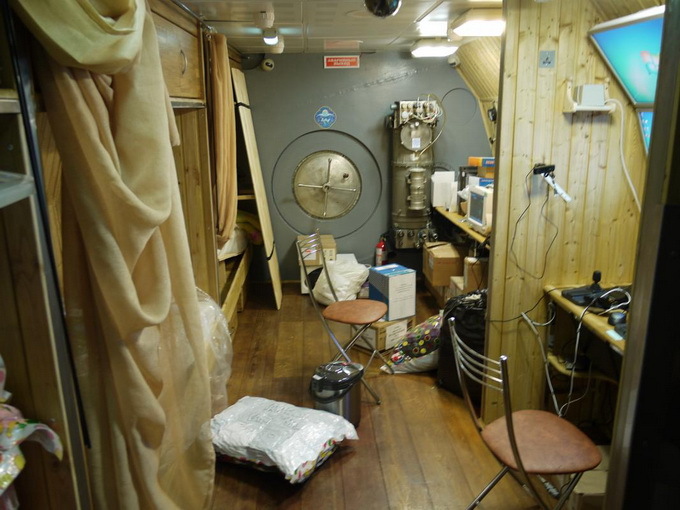 In their cramped, windowless module at a Moscow research facility, the earthbound pioneers split into teams — three Russians against two Europeans and one Chinese — and put their trust in Counter-Strike, said Russian Alexander Smoleyevsky, 32. “We know that flies can turn into elephants in space so whatever conflict arose, we tried to nip it in the bud,” said Rustamovich Sukhrob, 37, his blue jumpsuit hanging loosely on his frame after months of food rations. 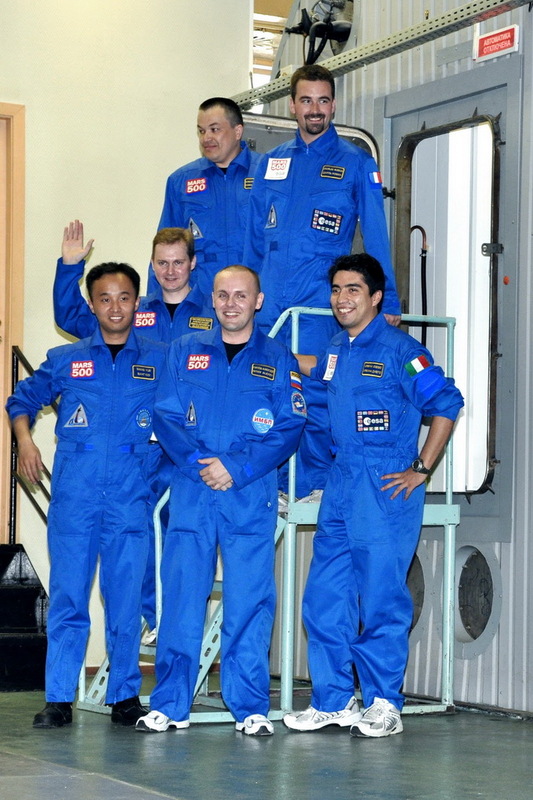 The six crew members, all of whom lost weight, looked weary but relieved on Tuesday when speaking to reporters for the first time. They had spent three days in quarantine since the end of their mission on Nov. 4. The US$15 million Mars500 experiment aimed to answer one of the big unknowns of deep-space travel: can people stay healthy and sane while spending 520 days rocketing to the Red Planet and back in a small spaceship? The study volunteers were never weightless, but scientists tried to make their isolation mimic the mental and physical strain of a real flight to Mars as closely as possible. They ate astronauts’ rations, rarely showered, took blood and urine samples and slept plastered with electrodes, all the while being under constant video surveillance — a touch that earned the study comparisons to a reality TV show. Each man was paid 3 million roubles (US$98,300), Mars500 project director Boris Morukov told Reuters. “I was shaky when I came out, I hadn’t seen anybody else other than my five friends for so long my heart was beating like crazy, my legs were trembling. … I was so excited,” Italian-Colombian participant Diego Urbina told Reuters. French crewmate Romain Charles was more flippant, saying he missed a “good croissant” in the mornings. To break the monotony, he said he taught his crewmates to play “Home Sweet Home” and “Rocket Man” on the guitar. A previous 420-day experiment in 2000 ended in drunken disaster when two participants got into a fistfight and a third tried to forcibly kiss a female crew member. But Mars500, the first fully fledged simulation, is being hailed as a success and has brought a welcome flood of publicity for the European Space Agency, struggling against waning interest in space exploration among crisis-hit tax payers. “We rarely finish these long-term experiments and we did it as a team,” said China’s Yue Wang, the youngest crew member at 27, flashing a wide grin. Previous Previous post: The climate change has boosted intensity of heat waves, and cyclones. Next Next post: Latvia … Independence proclamation day.